Our mission is to serve our clients with compassion, devotion and a balanced care approach to aging so that we can help them retain their independence and remain in their own homes. We go beyond industry standards to promote longevity and quality of life – helping our clients to thrive. At Home Care Assistance of Green Valley, we believe in changing the way the world ages. Our professional staff is licensed, bonded and insured. We offer flexible scheduling without long-term contracts, and all caregivers are trained through Home Care Assistance University and pass rigorous screening, background and reference checks. So what does it mean to change the way the world ages? 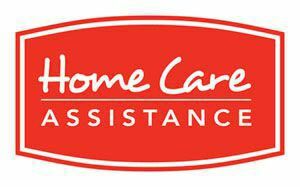 Home Care Assistance specializes in full-time, live-in care for seniors with advanced conditions or who could benefit from around-the-clock safety monitoring. Customized care plans are tailored to meet the specific needs of the client, including matching the caregiver to the patient through an extensive personality test. We promise that our caregivers will arrive on time. Our automated systems record caregiver arrival and departure times and allow our office to communicate with them in less than 4 minutes. All caregivers and Client Care Managers provide ongoing, documented communication that is also available online to keep concerned family members informed. Our caregivers can provide assistance with daily living activities, such as light housekeeping, laundry and meal preparation, as well as personal care assistance with bathing, dressing, toileting and grooming. Our caregivers also provide transportation for errands, medical appointments and more.